March in the Year of the Bird: Going Native! The Year of the Bird’s Call to Action for the month of March is to raise awareness of the value of landscaping with native plants. Creating a bird-friendly habitat in yards featuring native plants is a great way to help birds facing changes in their natural habitats. Planting native plant species in your yard, garden, patio, or balcony can create a vital recharging station for birds passing through and even a sanctuary for nesting birds. 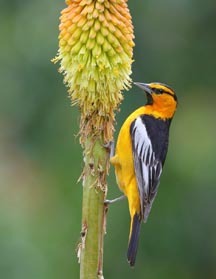 Having more birds will help with garden pests naturally and the native plants will require much less watering. March might be a little early for planting but not too early for planning ahead to birdify your yard. KBO’s Birdify Your Yard! 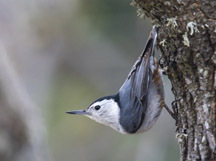 Landscaping for Birds and Native Plants for Birds in the Klamath-Siskiyou Bioregion flyer offers several home landscaping suggestions for attracting birds and includes a list of local bird-friendly native plants. 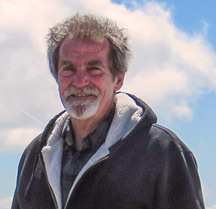 eBird Northwest has just posted an article titled Year of the Bird: March Monthly Action with more information about including bird-friendly native plants in our “habitats”. 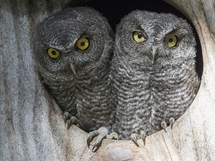 The article includes a link to the National Audubon Society’s Plants for Birds webpage and their Native Plant Finder Database with tips for planning a bird-friendly landscape. CLICK HERE to download/view KBO’s Birdify Your Yard! 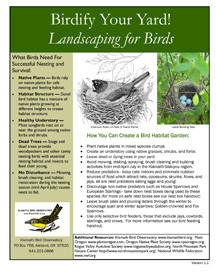 (Landscaping for Birds) flyer—with a list of suggested bird-friendly Klamath-Siskiyou Bioregion native plants. 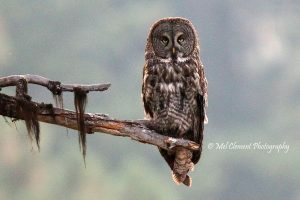 CLICK HERE to visit eBird Northwest’s Year of the Bird: March Monthly Action article.